You need ideas for some fun family time this summer, right? But, you don’t want to break the bank. 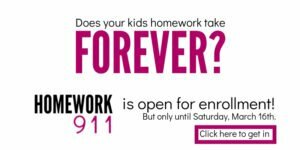 Summer is a challenging time for Arizona parents. The kids are out of school and when the rest of the country is enjoying the great outdoors, the temperatures here soar above 100 degrees. Do not fear. 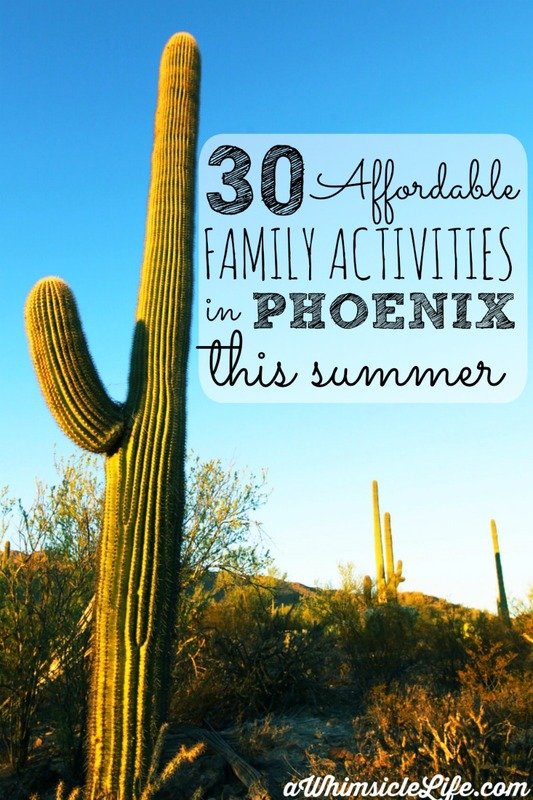 The Phoenix area has a ton of fun activities to keep families “cool” during the summer. Every Tuesday from 5-7pm the Bass Pro Shop in Mesa hosts tons of free, fun activities for kids. Kids can enjoy arts and crafts, shoot lasers in the shooting gallery, watch a fish feeding in the main tank at 6pm or let some arrows fly at the archery range. This amusement park near downtown has a splash pad, mini roller coaster, tea cups and a train that circles the perimeter. I think I look forward to the summer reading program all year long! Most valley libraries host summer reading programs and these are a lot cooler than when we were kids. The library also puts on reading themed events such as puppet theaters, magic shows and character meet and greets. Check your local library for details. A library with a castle!!! How did I not know about this before?? #azlocal Not only that, but it also has a puppet theatre, Lego bricks, trains, puzzles and more in the pre literacy area. Every Wednesday from 3:30Pm – 4:00PM. Wildflower Bakery offers kids a free cookie, milk and activity. Use this time to take a break and get yourself a latte. Head down to Maricopa and see how we get our milk! The farm tram tour is about an hour and afterwards you can treat yourself to Shamrock Farms ice cream and a container of icy chocolate milk. Two year old at the wheel and a sassy diva in the back…this is a party!! Loved our @shamrockfarmsmilk tour today! The Rosson House in downtown Phoenix offers tours every hour. Visit a local library to pick up a culture pass so that you can visit for free. I recommend this tour for school age and up. Every first Friday of the month from 5pm-9PM, visit the Children’s Museum of Phoenix free of charge. On the first Saturday of each month around 9AM, every Home Depot hosts a kids workshop for free. Create a cell phone holder for Dad during the first week of June. Nothing makes a better kid date than a trip to Starbucks and a frosty frappucino. There are tons of caffeine free varieties to choose from, especially when you are equipped with a secret menu. Starbucks also has cute mini frappuccinos through the end of June. However, I suggest for value, to order a tall and split it between two mini cups. Located in Peoria, the Challenger Space Center holds a plethora of information about past space missions, awesome demonstrations, and amazing artifacts. There is also a Culture Pass available at the local libraries for this one so you can visit for free! Take your entire family on the second Friday of each month to Downtown Mesa from 6-10pm. Stroll dog-friendly streets, eat yummy food and listen to free concerts. June 10th will be Cosplay night where you can dress like your favorite character. This Scottsdale park beats all in terms of trains. There are two train courses to choose from as well as an old fashioned merry-go-round, snack bar and train museum. Plus, every Sunday evening until July 3rd from 7:30pm – 9:00pm, the park hosts free outdoor concerts. The July 3rd concert even has fireworks! If you have a long road trip coming up this summer, sit down with the kids and make I Spy Bags. As a bonus, they are also a great way to use those little free trinkets that kids are always accumulating. I say morning because it gets hot out there! Riverview Park is amazing in every way. Not only does it have a huge, HUGE climbing structure, but it also has a splash pad, zip line and tons of playground equipment to unleash your inner acrobats. There are more fantastic parks in the Phoenix area. Find them in this printable list of popular Phoenix activities. Get your kids free treats, coloring pages, a cheap movie (at Superstition Springs) and a cool interactive presentation. The Kids Club is a weekly event offered a the local malls. Check the National Geographic Kids Club website for more details. Free and open to the public, this train takes you right over the tarmac and straight into terminal 4 where a lot of local restaurants await. Every Saturday, Lakeshore Learning hosts a different FREE craft activity from 11AM-3PM. This summer, you can do everything from making cards for Dad to a patriotic hat. Lakeshore Learning has two stores in Arizona- one in Paradise Valley and one in Ahwatukee. LETS GO DBACKS!! Can you tell? I’m a fan. I’m especially a fan of live games because there is so much to do at the ballpark with kids. And who can resist this at Chase Field? When you buy a POGO pass, you get 2 of the following Diamondbacks games included. To attend, you need to reserve your game through the POGO Pass website. The registration button appears 2 weeks before game day and closes 48 hours before the game to allow tickets to be generated. Fun and air-conditioned, plus you don’t always need to go there during meal times – maybe its a mini ice cream break or simply order a soda and use the wifi when the kids play. The McDonalds in Gilbert has a toddler playground while the McDonalds in Chandler at Warner & Dobson houses an older kid’s play structure dream. West siders- which fast food playgrounds do you recommend? Honestly, the first time I walked in the doors of Makutu’s Island, I was awestruck. This is seriously the coolest indoor playground ever and its on the POGO pass. Public pools have gotten a serious upgrade since I was a kid. For instance, most of the Chandler pools have water slides and lazy rivers. Take advantage of all those pool noodles for sale and craft some fun Marshmallow Shooters at home. Challenge your kids to see how far you can launch mini mallows or have a very “sweet” fight. Visit Crepe Bar in Tempe for some yummy crepes or have the kids feast next door on stuffed croissants at P. Croissant. If you need other ideas, there are a ton of Kid Friendly Restaurants in Phoenix to choose from. Harkins Theatres has an amazing summer movie deal for families. Buy a season pass for $7 and get 10 movies throughout the summer. All the movies are pre-released kids movies and the only showtime is 9:45am, but its a great way to get out of house and into air conditioning for a couple of hours. Let your kids showcase their artistic genius at your fourth of July Party. With a pack of oil based permanent markers, plates from the Dollar Store and an oven, your family can create a patriotic addition to help light up the fourth. Check our instructions for tips and tricks. Kid Made Terrariums would look beautiful on any teacher’s desk. Since it is a succulent, its also fairly hard to kill (really important since I kill things easily) Find other handmade Gifts Kids Can Make. Spy on seahorses, ogle at an octopus and seek out sharks at the Sea Life Aquarium in Arizona Mills or visit the Wildlife Zoo & Aquarium on the west side. Easy way to make everyone happy and fun to make different creations. I used Nutella and cookie butter for my family’s waffle bar. The possibilities are endless. Bacon, anyone? Yes! We have a chocolate factory in Phoenix, open to the public and with tours!! Cerreta’s is family owned and operated and located in the Glendale area. Thirty activities to keep you and your kids “cool” and keep you all from losing your mind from cabin fever. Have you downloaded my list of Ultimate Phoenix Activities yet? What are you waiting for? 🙂 Get it here now! Thank you for this! The summer camps out there are appealing but costly and with your post, I feel like there are so many fun things to do! I am glad we are not committed to a summer camp, now! There is so much to do Sue! Did you get a POGO pass yet? I just got one for Llama on Saturday and we plan on using it a lot this summer. Possibly we can go to many places together! I so love Phoenix!!! And I’ve always wanted to let my kids try the Crepe Bar, but I worry that the food might be too expensive… are they not? Hi Mori!! Crepe Bar is amazing. Here is a look at their menu with prices: Menu. They can also make half portions of many of the crepes for kids. My only heads up is that last time I went, they only had one high chair. If you have a really little one who needs a high chair, best to visit early in the day on a weekend before 8am.